*I leave butter out when making fatless sponges obviously! I will never forget overhearing someone looking for “castrated sugar”. DDD is in situ and presently chewing on a pig’s ear with great satisfaction; as Son says, she hasn’t seen anything Pig for three and a half years! Maybe you should bring her to Westminster? I believe they have a rather large pig’s ear that needs dealing with. So where did you think aniseed balls came from? I just assumed it came in empty bags. Ah, don’t mock the afflicted. Omnishambles doesn’t even come close. After other news, yer bee izzin despair. So, should we have slammers (I don’t know what these are, but I’m willing to try) and toast the Health of the Hound? 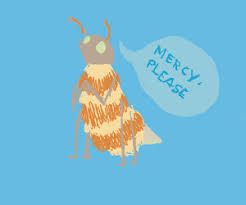 I am sorry to hear that, wee Bee. Anna tequila slammer sounds just the job, joe. Gin, champagne, lemon juice and sugar, apparently. That does indeed sound interesting. Oh, it is. Renders one as interested as a newt in no time, but is very delicious. Huge Medicinal anna Beady Glare. Are you trying to be me dear one? I am the totally daft one you know!